Sometimes it is only by using something that you truly appreciate it. 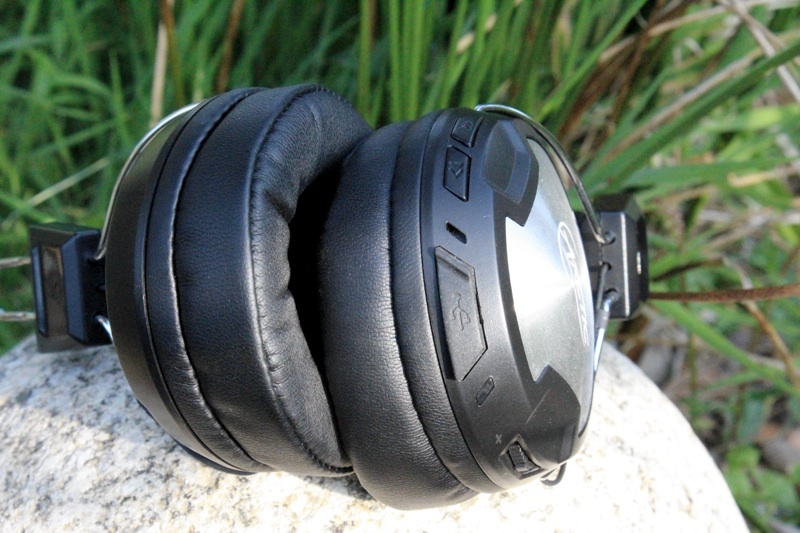 These Arctic P402 BT headphones definitely proved this point to us. They look OK, but perhaps on first sight a little dated when compared to some modern designs. However, the two round headbands and sliding metal adjustments for the earpads work absolutely to perfection, allowing an exceptionally comfortable fit and holding the headphones onto your head solidly, whilst still being one of the lightest headsets we've used. This is particularly important when moving around wirelessly and performing day to day tasks. The earpads are on-ear, although they seem to us to be a hybrid between that and over-ear, and the first we have seen where the soft cushions are tapered to make them wider at the bottom than the top. This is a unique design and very clever, making the well-cushioned pads sit tightly and also keeping external sound to a minimum and the actual playback sound clear and correctly positioned. 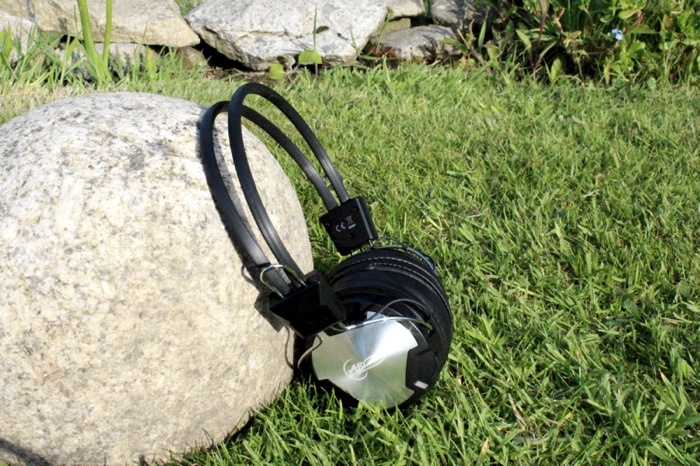 These Bluetooth Arctic headphones work with the iPad, iPod Touch, iPhone and other smartphones, tablets and computers. The range from device to headphones is impressive. We've used them from one office to another and whenever the signal is lost it always picks up quickly immediately it is rediscovered. The Bluetooth is easy to set up and the rechargeable 850mAh lithium-ion battery lives up to its 30 hours of playback time claim, before it needs charging through the micro-USB to standard-USB 2.0 cable which is supplied. There is an LED indicator which flashes blue when the headphones are on and they are searching for a player, and red when turning them off. This also reflects the condition of the battery. Included within the Arctic P402 BT headphones is a built-in microphone (sensitivity of -42dB +/-5dB) which works well for hands-free talking. This is extremely useful for smartphone usage and is a great addition for any Bluetooth listening device. The control buttons are all on the left earpad and include an on/off which can be pressed to pause and rocked for volume, with two separate buttons for track skipping forwards and backwards. Also included in the pack is a standard type travel pouch with the Arctic logo. Now to the quality of sound. We find these are up to an acceptable quality but not exceptional. The 40mm drivers (frequency response of 20Hz - 20kHZ and impedance of 32 ohms) do a fine job and produce a perfectly reasonable sound across a good range of bass and treble, they give a clear audio experience that we find adequate across a pallet of genres, particularly because they are so comfortable and easy to wear when moving around. If sitting listening to a special piece of music then obviously a high quality pair of wired or wireless headphones would do better, but it all depends on your needs and usage. We would sum up the Arctic P402 BT headphones by saying they are lightweight, comfortable to perfection, ideal for hands-free talking, incorporates dazzling battery life and they have an acceptable audio quality for a mid-range priced product.